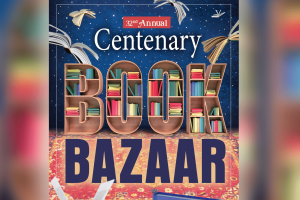 SHREVEPORT, LA — The 32nd annual Centenary Book Bazaar sponsored by the Centenary Muses opens Friday, September 7 at the College’s Gold Dome and continues Saturday, September 8. Over 80,000 items will be available for purchase on Friday from 4:00 p.m. to 9:00 p.m. and on Saturday from 9:00 a.m. to 4:00 p.m. Patrons should bring bags or boxes to carry out their books. Carryout assistance is available. Cash or check is accepted. On Saturday, all items are half-price after 12:30 p.m. Call the Book House at 318.219.3409 for more information or visit the Book Bazaar on Facebook.